Why Should You Hire a Local HVAC Company? With summer in full swing, your A/C might need a tune up. 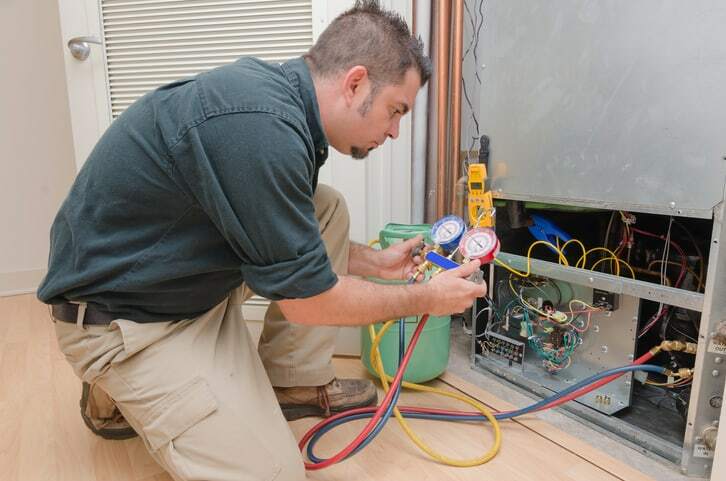 When looking for local HVAC services, you only want the best. There are plenty of options to choose from but hiring from a big company may be a mistake. How will they know the area? How can you trust their reputation? Will they have time to answer your questions? There are many benefits to hiring local. Here are some to consider before making your service appointment. Your home is where your family is and this includes your neighborhood. One of the main advantages of hiring a local business is that they will value your relationship and want to establish trust. You will be treated like a neighbor because you are one. They will likely see you in the grocery store following your HVAC service. Also, local businesses thrive on referrals. You can find out, pretty quickly, if they are worth your time and money. If their services are poor, their reputation dies, and then their business. You also know where their office is. If you have questions or any problems, you know exactly where to go or who to contact. Smaller businesses mean more one-on-one time with the customer. Hiring a local HVAC service can provide you with personalized attention and service and quicker follow-up appointments or responses. Big companies struggle with longer wait times, anonymous service repairmen, and cannot guarantee you will talk to the same person twice. Local HVAC companies help build strong communities. Everyone benefits when positive and productive relationships are built, including commerce. Locally owned businesses create more jobs and sometimes offer better wages that will then pour back into the local economy. Lastly, local companies are free to make decisions benefitting the community and are free to engage in ways they see fit. Most importantly, local service providers are more direct with their customers. Their business is on the line so they want to do the right thing. They do not have the capital to waste on stringing customers along. This will also come to mean that you will receive higher quality work for the right price. Local services do not have to answer to a national headquarters office or pay lots overhead.